On Monday last week, I found these remarkable images in an old box at a reclamation yard just outside Bovey Tracey, near to where I live. Captured in the early 1920's, the photographer remains unknown but these deteriorating images, which I scanned as soon as I got home, are in my opinion, truly ahead of their time. The images appear to be made using the same film and despite degredation have certainly lasted the test of time, almost adding to their appeal. I became intrigued about who could have shot these and headed towards a local archive in Newton Abbot to see if I could uncover any facts. Apparently there were two local photographers who began to document the moors in these early years of photograhy using plate cameras. The first is John William Cole, who was a discharged WW1 veteran. I am certain he must have used the moors to begin a much needed period of healing. He died in 1967. 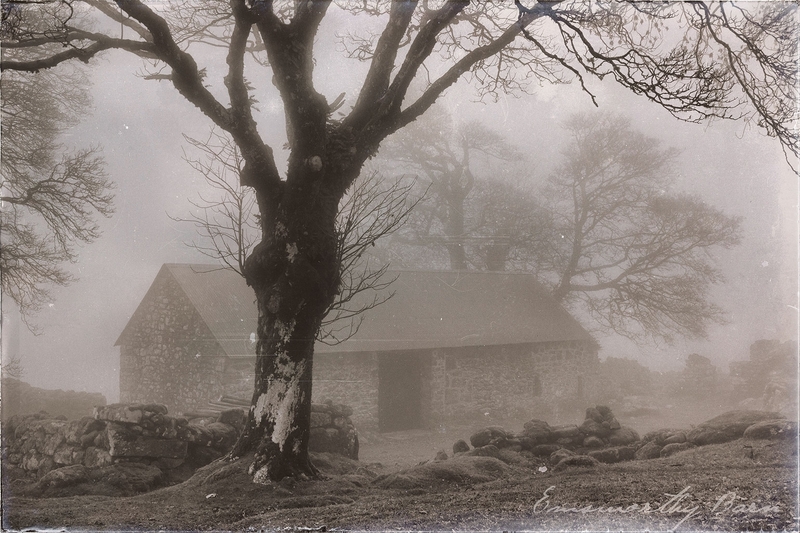 The other that I uncovered was the son of an established land owner near Natsworthy called Ernest Vanstone, who spent time documenting the east of the moors up to the late 1930's until his premature death. For me the images are as much about the compositons as they are the conditions. 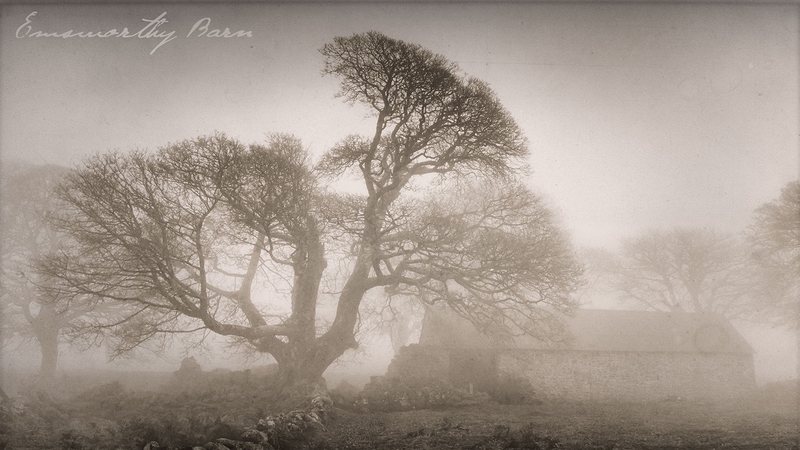 In heavy fog, with such reduced light and low quality film by todays standards, they encapsulate the bleakness of the moors, the damp and the cold which many long gone farmers would have worked in. Todays modern photographers, digital cameras and digital processing do little to capture this essence in my opinion, so it was wonderful to find these remarkable and historical photographic artifacts still intact after all these years. Smile you're on Candid Camera.... I shot all these images myself, on a very modern Canon EOS M3, 18-55mm lens and then processed them on my Macbook using Nik Analogue Effects, adding sepia, scratches, old frames. Next I did some creative Photoshop, downloading a fountain pen calligraphy font and wrote the text 'Emsworthy Barn' fading it with gradients and adding softness. I took them last Monday whilst working on a Canon GPS day, my next report. Also, just to make you aware, you're in safe hands - I will never quote Ansel Adams.